The USA is today voting for all 435 seats in the House of Representatives and 35 of 100 seats in the Senate in the midterm elections. If Republicans maintain their hold on both the Senate and the House of Representatives, the party will have the chance to build on President Donald Trump’s America First agenda. But if the Democrats wrestle control of one or both chambers, the opposition will have a better hope at stifling some of Trump’s more radical plans. 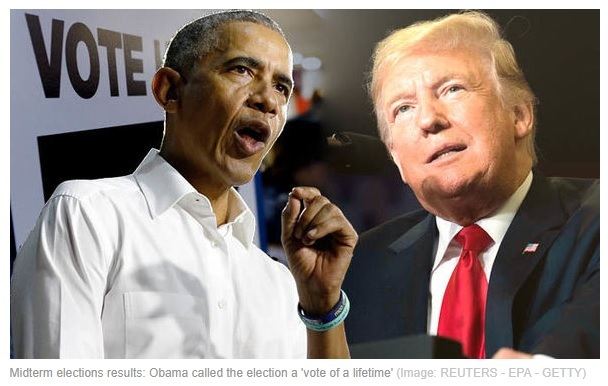 Barack Obama, who joined Democrat candidates on the campaign trail, issued a rousing plea for votes as he claimed “the character of our country is on the ballot”. The former president also issued an emotional tweet, saying the vote “might be the most important of our lifetimes”. Voters across the USA flocked to cast their ballots today, with long lines forming at polling stations amid speculation the election could bring see turnout in record numbers. Polls will close between 11pm and 4am GMT tonight and results will begin to trickle in during the early morning hours of Wednesday November 7.